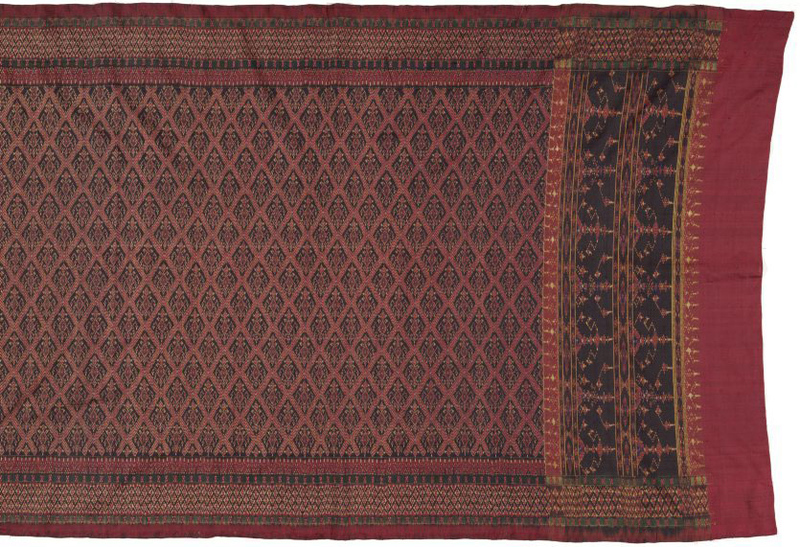 The design and structure of the ikat skirtcloth above and right suggest the influence of Indian blockprinted trade cloths, which originated from the Coromandel Coast. The body of the cloth is dyed in a delicate flower and trellis design, while the ends are decorated in three registers of a protective 'yantra' design. The intricate pattern suggests that the cloth was made for Thai taste during a period when Cambodia came under Thai rule. 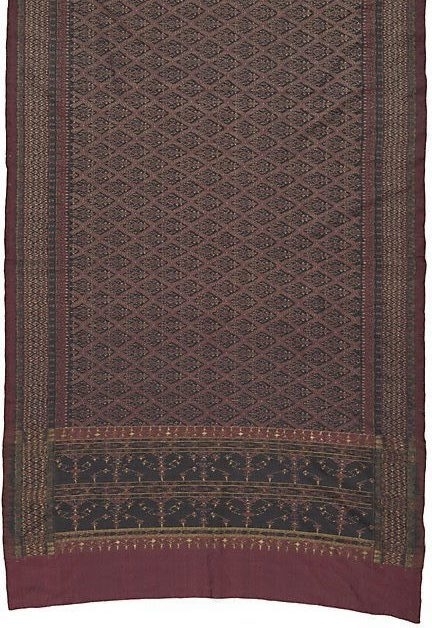 Generally silk cloths such as this were not worn by Thai royalty, who preferred to wear cotton, but were used in gift exchanges among aristocratic groups. This practice continued until the mid 1800s. The Asian Collections, AGNSW, 2003, pg.318. The Asian Collections Art Gallery of New South Wales , Sydney, 2003, 318-319 (colour illus.). The colour illus. on pages 318 and 319 are details of this work.